In the fourth day of competition at the 2013 World Flying Disc Federation Overall Championships, the host country of Sweden leads the medal count with 15 total medals after the completion of three events. Trailing with six medals is the United States of America. 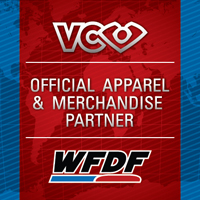 The WOC event, held every other year, is the official WFDF championship contesting seven individual and pairs events, including the disc sports disciplines of Accuracy, Distance, Disc Golf, Discathon, Double Disc Court, Freestyle and Self-Caught Flight (SCF). A total of 85 athletes from nine countries and three continents are in attendance. “We believe that it is important to make a tournament a lifelong memory — a moment for everyone, a moment of harmony and fellowship,” says Peter Lundmark, the tournament director and general secretary of the Swedish Frisbeesport Association. This year’s event in Norrköping, Sweden, is being organized and run by the KFUM Norrköping’s disc club. 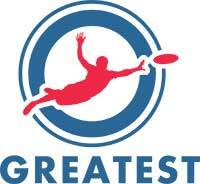 In the Distance event, Michael “Cap’n Snap” Conger (USA) set a new Legend division world record of 148 meters. Robert McLeod of Canada set a new Canadian record of 181 meters while taking a bronze medal in the event. In SCF, McLeod turned in a near-world record performance on his way to a gold medal. His final round Maximum Time Aloft (MTA) of 15.37 seconds and Throw Run & Catch (TRC) of 79 meters combined for a total SCF score of 163.54 points, fewer than three points shy of the current world record held by Niclas Bergehamn of Sweden, who took the bronze medal.